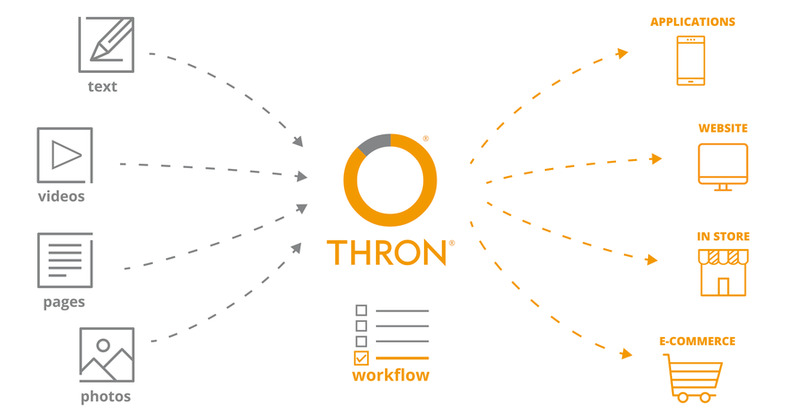 THRON allows you to centralize all your brand content in a single repository. Thanks to the integrated delivery you can publish content across all brand channels: websites, applications, digital signage and third-party tools, reducing maintenance cost and updating times for the single multimedia assets. 1. I spend too much time updating content. Optimize multimedia assets updating times across all channels. 2. I have content scattered across different channels. Manage all content, including videos, from a single platform and speed up its distribution through a universal player. 3. My users quickly abandon my site. Stand out from the competition by offering each user personalized content, measuring its performance. Ensure high performance and fast loading of content all over the world, even with poor connectivity. Use THRON to centrally deliver all your multimedia assets, regardless of the tools, removing all duplications and simplifying the distribution infrastructure.